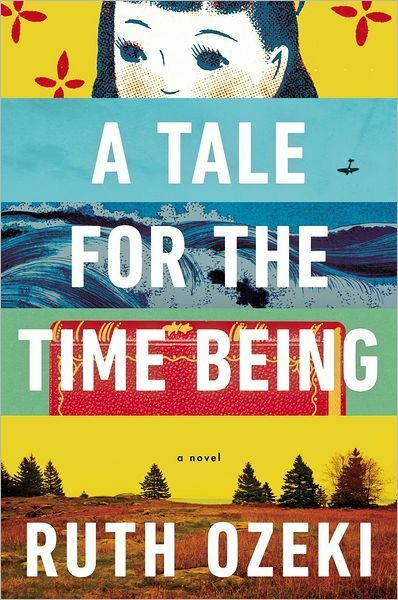 On January 23, 2014, Jennifer and Allison sat down with Ruth Ozeki, author of A Tale For The Time Being, at Warwick’s Bookstore in La Jolla, CA. 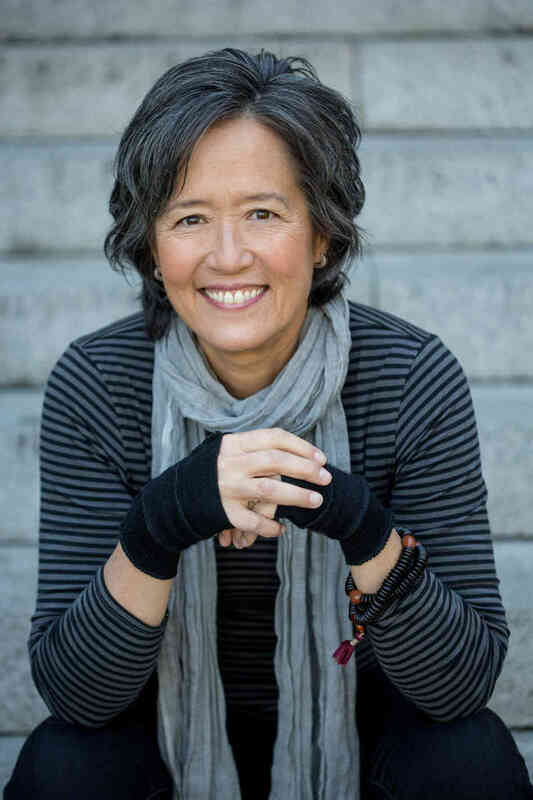 Just before Ruth addressed an eager audience of bibliophiles and fans of her work, we got her to open up about her writing technique, her experience being a Man Booker finalist, and how the story of Nao spoke to her when she least expected it. TCJWW: We’re really excited about your novel, A Tale For The Time Being. We have a couple questions in regards to the book and your style and craft and influences. Ozeki: I like the journal. I like the idea of the journal, it’s great. TCJWW: Thank you! We definitely want to have a platform where we can get the exposure out there for more women writers. And we’re very interested in voice. So we really want the women writers that we review and interview to give us their voice and what their influences are and what their experiences are. We want to get that out because it’s just not exposed enough. Your current novel is extremely interesting… where did the idea stem from or did it stem from multiple places? Ozeki: Multiple places; books come from multiple places. The easy answer is that it came from my Zen practice, specifically the studying that I was doing. I was studying the essays of a 13th century Zen master named Dōgen Zenji. Dōgen wrote extensively on the subject of time and he wrote an essay called Uji, which can be translated as “being time” or “time being” or “for the time being.” And so I was reading this and that phrase “time being” just kind of stuck in my head, and I thought it was an interesting phrase because depending on how you inflect it, it could either be time being or time being. And time being is kind of like human being or alien being, so I was playing with that in my mind and then the next thing I knew, this young girl was using that—had appropriated that phrase, and she was introducing herself to me and saying, “Hi, my name is Nao, and I’m a time being. Do you know what a time being is? Well, if you give me a moment, I’ll tell you.” And so that’s where the whole thing started, with the voice of this girl who appropriated the language of this 13th century Zen master and started speaking. TCJWW: That’s interesting that you say she spoke to you. Do you let your stories come to you or do you also sit down and think, “This is the direction I would really like to go in. I’m going to fabricate something,” or both? Ozeki: It was really her voice that started it. I heard these lines, wrote them down—this was in December 2006, and I remember because I have the document, and documents are labeled with dates now, so I know exactly when I started. So it was December of 2006 when those lines came to me. I hadn’t thought of writing a novel like this until I heard the character start to speak. And then it was interesting because as soon as she did, I knew certain things about her. I knew she was about 15/16 years old. I knew that she was Japanese. Actually, I didn’t know her name at first. At first I thought she might have a different name. I knew that she was living in Tokyo. I knew that she was at a maid café. I knew that she was writing a diary. I knew that she was writing to somebody. I knew that she was troubled; I knew that she had a problem of some kind; possibly she was suicidal. But I also knew that there was a kind of toughness there, kind of an attitude. And then I just sort of explored it and explored it and explored it. By January or so, I probably had about 30 pages. It was starting to happen. But this book kind of took me by surprise—ambushed me. TCJWW: That’s wonderful that you have two different writing experiences. I’m sure they’re completely different processes. TCJWW: How did it feel to be nominated for the Man Booker prize? Ozeki: First, it’s a long process. A couple months before, you get told that you’re on the long list and everybody’s excited. And then, you get told you’re on the short list and everybody’s even more excited. It doesn’t really have any reality for the longest time, except that your email inbox just keeps flooding. I mean, that’s how you know—your email inbox is completely inundated. And then, you go to England and you meet the other authors; that was amazing, that was lovely to meet them. We did events together, which were really nice. And we became friends, so that was really nice, too. And whenever the press would interview us, we’d all have our arms around each other and the British press were really disturbed by this because we were supposed to be competing and we were supposed to hate each other and instead we liked each other. So that was funny. The whole thing seems kind of unreal. The odds makers, the bookies, place odds on the different titles, so it’s like a horse race. You try not to pay attention to this but everyday somebody says, “Oh, 2 to 1 odds” or “You’re the favorite.” It was interesting because in spite of myself, in spite of my better judgment, I started to think, “Oh, maybe I have a chance.” Before I went, I didn’t think there was any way in hell—I thought it was a fluke. But then I started to think, “Oh, maybe it can happen,” which is always a mistake. But it was fun; I have to say it was fun. It was great because I got to see my husband in a tuxedo. That was the highlight. He usually wears jeans and gum boots. TCJWW: That’s an unparalleled experience in itself. Not many people can say that they have either been nominated for the prize or even had that opportunity, so that is quite an accomplishment. Ozeki: It was fun. It was a lot of fun. TCJWW: Congratulations on that; we’re very happy for your success! In researching your background, we discovered that before writing, you had been a filmmaker. Films tells very visual stories and we’re interested to know if that affects how you write your narrative now? Ozeki: Yes, very much so. I got into the film business by accident. I never particularly wanted to become a filmmaker. I wanted to be a writer. I wanted to be a novelist. I was very clear about that. I always wanted to be a novelist. But I didn’t know how to do it. And it never occurred to me to go to school to learn how to do this for some reason, I don’t know why. So I went and studied comparative literature and did a Master’s Degree in Classical Japanese Literature. I thought I was going to be an academic and was in Japan, studying, but secretly I was trying to write novels, and I was failing to write novels because I didn’t really know how to do it. One of the things that kept defeating me was that I didn’t know how to put together a plot. I didn’t know how to put together a narrative arc that would move through time. Chronology really defeated me. And I remember it—I remember struggling—I remember a character would come into the room and I’d need to get them from one side of the room to the other side of the room, and I didn’t know how to do that. Everything just took too long. It sounds so stupid but I remember struggling with it. In any case, I got into the film business and started making films and directing and, finally, editing. And it was when I got into the editing room that it all started to come together for me. I learned there are techniques you can use to move a story through time. And you don’t need to be as literal as I thought you did. Instead, there are ways you can cut into action and just move stories. After doing that for years, when I went back to writing, suddenly it was very easy. I knew how to do it. When I was doing film and television work, I worked a lot with montage. I’ve always used montage as a technique in all of the books, bringing in faxes and emails, or newspaper articles, or different kinds of fictionalized source materials. This is a technique that comes from film, directly from film. The other thing, too, is that when I go to write a scene, I’m very aware now of visuals, in just in the same way that you’re on location. You set the camera down on a tripod and pan it around, you look and find your frame, you choose your lens, and you decide how you’re going to enter the scene. I do something similar when I’m writing. It’s a very visual, sort of physical, entry into scene making, scene construction. TCJWW: That’s really fascinating because it’s completely different. That’s what also gives your storytelling a varied dynamic. Ozeki: I think so. People have commented often that the stories are very visual and that they’re very filmic. I think that’s great. TCJWW: That’s fantastic. Maybe film editing should be a requirement in a literature major. Ozeki: It’s true, that’s really true. You don’t learn that kind of stuff in an MFA program, either. You learn it on set. Filmmaking was the best writing school that I could’ve chosen. Ozeki: Well, that’s a different process. But I have to say my training, whatever training I had, was in literary scholarship and criticism, and that’s what I did both as an undergraduate and also as a graduate student. That’s always been something that I’ve loved doing and I think that, yes, you suspend that awareness, that criticality, while you’re writing, while you’re creating, but it’s always there. It’s always useful. You’ve studied literature so you understand literature, and you understand literature in a deeper way than somebody who’s never studied it. If you’ve studied and parsed and done textual analysis, then perhaps you don’t want to engage that kind of thinking while you’re in the process of creating, but on the other hand, afterwards, you look back and you know what you’re doing. You do understand. TCJWW: And during the editing process, you know what additions or subtractions you need to make. Ozeki: When you’re working with metaphors, symbols, or whatever it is, you can think about those in a certain kind of way. It’s interesting. 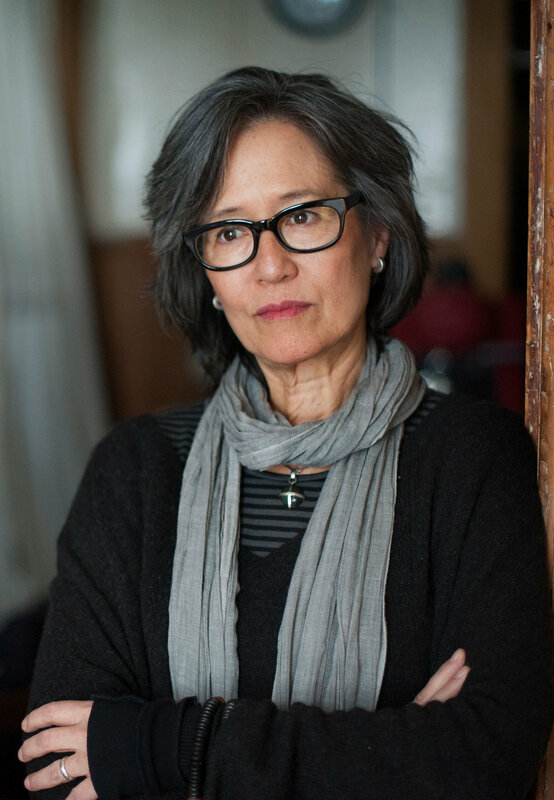 TCJWW: Since you have these facets to yourself—you have the novelist, you have the filmmaker, you have the Zen Buddhist priest—certainly all of those experiences go into your stories. How does your Buddhist practice play into your awareness of how the stories are unfolding? Do you bring it in, do you let it come in on its own, or do you specifically draw from it? Ozeki: It’s there, it’s just always there; it’s there in everything that I do. I can’t say that I put it aside or bring it in, or anything else. It’s just who I am, but I’ve been meditating (practicing Buddhism) since the mid-90s. I find that meditation is a wonderful compliment to writing, but then it’s a wonderful compliment to everything in life. But it’s particularly useful for writers and I teach mindfulness in writing classes because I think it is so useful. In this book too, the connection to Buddhism is more explicit in the sense that the book grew out of the Zen study that I was doing. But all my books have Buddhist themes at their heart, for example the theme of interconnectedness, the theme of impermanence, the theme of dependent co-arising. These are sort of Buddhist propositions, philosophical propositions that I think all of my work investigates to some extent or another. TCJWW: If you have anything you want your readers to know, whether it be about you personally, about your writing, about how they read your work, what would you want to tell them? Ozeki: It’s not about me. It’s about the book. It’s about the work. This whole author business I find very strange, you know? Why would anybody want to hear an author? Why would anybody want to come see an author? I understand it to some extent because I have gone to author readings and it’s fun and interesting, but it’s also completely beside the point, because the point is the work, the point is the book. The author is not the person who wrote the book. The writer—Ruth, the writer—wrote the book, and the person who’s going on tours and speaking to you now is not that person, believe me. She’s somebody completely different. To some extent the author is a fiction, it’s a construct, and it’s something we create because in this media-driven world, we need to do that. Ozeki: I think that’s what I’m playing with in A Tale for the Time Being, because “I” am a character in the book, whatever “I” am. So I’ve been very overtly playing with this idea of Ruth the character, Ruth the writer, Ruth the author, so yeah, it’s fun. TCJWW: It was wonderful to have the opportunity to sit down and chat with you. Thank you so very much.